Appalachia is many things, depending on whom you ask. Observers have at various points christened it the other America, the land outside time, and, more recently, Trump country. But for many of us, it is simply home, and we don’t recognize much of it from its media portrayals. We know it as an uneasy and lovely place, shaped by addiction and ecological degradation and a history of open class war. But these complications rarely make it into media coverage. Appalachia seems to matter little to outsiders unless it is an election year or time for one of Remote Area Medical’s free clinics, when photographers and journalists who otherwise never step foot in the area swarm to document the spectacle of its poverty. J.D. Vance’s popular Hillbilly Elegy only reinforced this image of Appalachia as a dysfunctional place, doomed by its own bloody intransigence. But poverty is not a cultural problem, in Appalachia and elsewhere. It is a problem of power, defined by who has it and who does not. 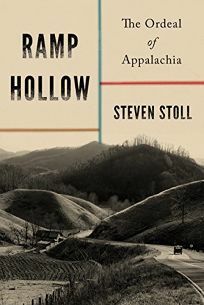 Stoll (The Great Delusion), a professor of history at Fordham University, examines this issue exhaustively, fixing a genealogy of Appalachian poverty that places the problem in its proper political and historical context. Stoll identifies it, correctly, as a consequence of dispossession. By giving it a distinct pedigree, he helps readers understand why Appalachia became poor and why it has stayed that way for so long. “The way back to Appalachia leads through the history of capitalism in Great Britain,” Stoll writes. Capitalism is the specter haunting Appalachia. Stoll focuses specifically on the practice of enclosure, employed first by England’s feudal lords to establish the concept of private property. Victorian England’s moralists favored the practice and, later, so did American tycoons and corporations, who used it to gain access to Appalachia’s natural resources. The region’s coal and timber made it valuable. Now the free market is moving on, leaving an exsanguinated corpse behind. Stoll is not the first academic to attribute Appalachian poverty to the influence of external forces. But his work is distinct in its emphasis on the practice of enclosure and his decision to connect Appalachia’s dispossession to the material dispossessions whites inflicted on freed slaves and that empires and transnational conglomerates later inflicted on colonial and postcolonial nations. Though Appalachia’s “development” lacks the racialized aspect present in the latter two examples, a thread connects each: the idea that capitalism is a civilizing force. Sarah Jones is a staff writer for the New Republic, where she covers politics and culture.